Buyer could not secure financing. Their loss is your gain!! Stunning Condo in Desirable Historic Hoskins MIll Community. One of ONLY two Mills left most nearly intact in original construction from Charlotte Mills that were built from the late 1800s. Located just 5 minutes from uptown Charlotte! This unique Loft is 1 of the few lofts in the building that features 915 SF, & W/D connections. 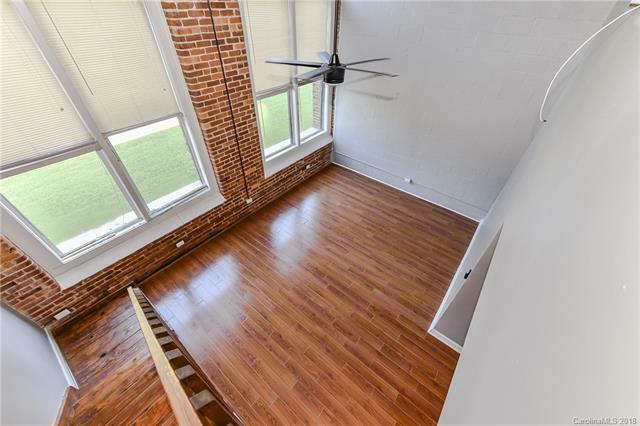 This Loft boasts 18' ceilings, exposed wood ceilings & brick walls, Over sized windows (12' tall) & provide plenty of natural sunlight. Renovated W/ too many upgrades to list all. Newer kitchen cabinets, counter-tops, SS appliances. Bathroom with new vinyl flooring, new light fixtures, carpet on upper level and bedroom. One of the better-looking Lofts in the building; in size, location and upgrades. Perfect for owner occupant or investor. Units this size in the building rent for $1000+. Investors inquire about obtaining a tenant before closing! !